The history of Kazan city is as complex as a Tatar ornament, an interlacing of Russian and Tatar influences, and not black and white. Kazan city remembers the Novokreshchensky from which came the orders to demolish the mosques and which, before its closure in 1764, by direct physical force and severe spiritual and political pressure compelled the Kazan Tatars to be baptised. But it also remembers that when Peter I visited the ruins of Great Bolgar in 1722, he ordered them to be preserved as historical monuments. 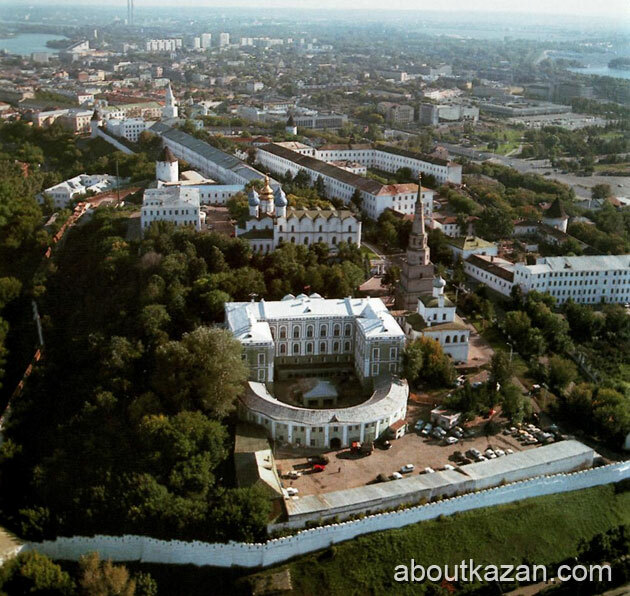 The famous Kazan State University, founded in 1804, was a Russian educational establishment, but eve-there, in 1869, a programme was set up to study ancient Tatar culture and assemble collections of books, coins, embroidery and ornament, gold and silver work, and objects used in everyday Tatar life. 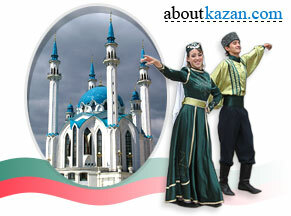 These collections formed the nucleus of the State Museum of folklore, history and economy of Tatarstan. Opposite the Spassky Gate of the Kazan Kremlin, on Tezits Hill, which was the start of the Kai trading district, stands the two-storey building of the Gostiny Dvor (former trade centre), where this splendid museum is located. Its remarkable exhibits include the gilded carriage in which Catherine II traveled to Kazan city in 1767. From here she wrote to Voltaire in France: "I am in Asia! I wanted to see this country with my own eyes. In Kazan city there are twenty different peoples who are nothing like each other and they have to sew same cloth to suit everyone." These attempts to sew the same cloth all the peoples cost Kazan dear but, given the price of autocracy, cannot but admit that Kazan city became a unique example of harmony, co-existence and co-operation of very different national cultures.